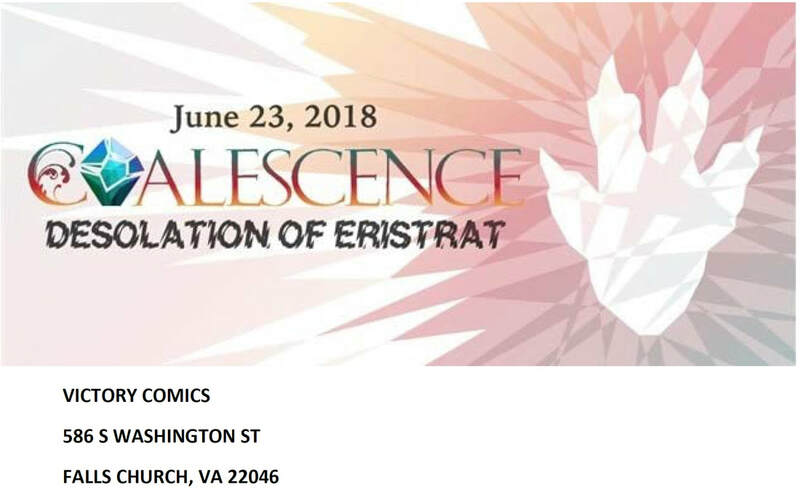 The global narrative event that is Coalescence returns to Falls Church! Last year, the godbeast Eristrat was released and bound to Chaos! This year we battle through the apocalyptic landscape left after his attacks! Forge links to the NOVA Grand Narrative and accrue renown for your NOVA champion! Personalize your warband by creating custom warscrolls and bringing them to bear against your foes! The event is described in the Players Pack below. This event uses AoS 2nd Edition! We will use the released rules and all known points, but no Endless Spells. Bring 1250 points to make a variety of lists throughout the day. No Matched Play restrictions apply aside from one Hero as the general and Allies capped at one in four units. Bring a 60 Renown Skirmish list for Game 1. Submit custom warscrolls with complete warscroll (but no points) by June 8th. Gameplay will break from 4:30-6:30 for dinner; but the narrative play and storytelling will continue!